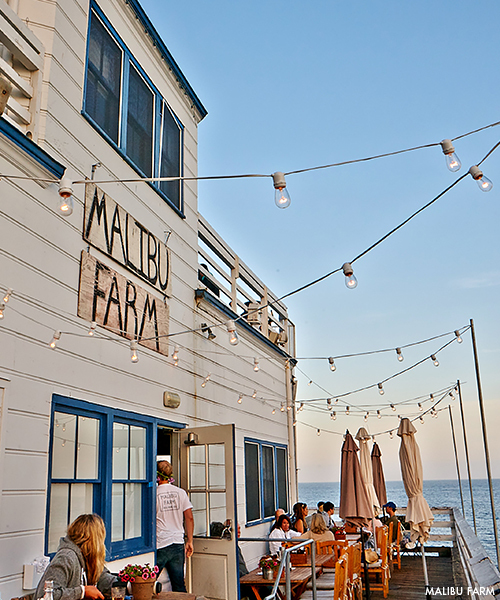 The beaches and bluffs, surfing and sunsets are reasons enough to spend time in laid-back Malibu. Add to that the new Nobu Ryokan, a serene hideaway on Carbon Beach, the buzz of the Little Beach House, and the delicious, locally-sourced dishes served at Malibu Farm restaurant, and it is crystal clear why the Southern Californian coast makes for a perfect weekend escape. 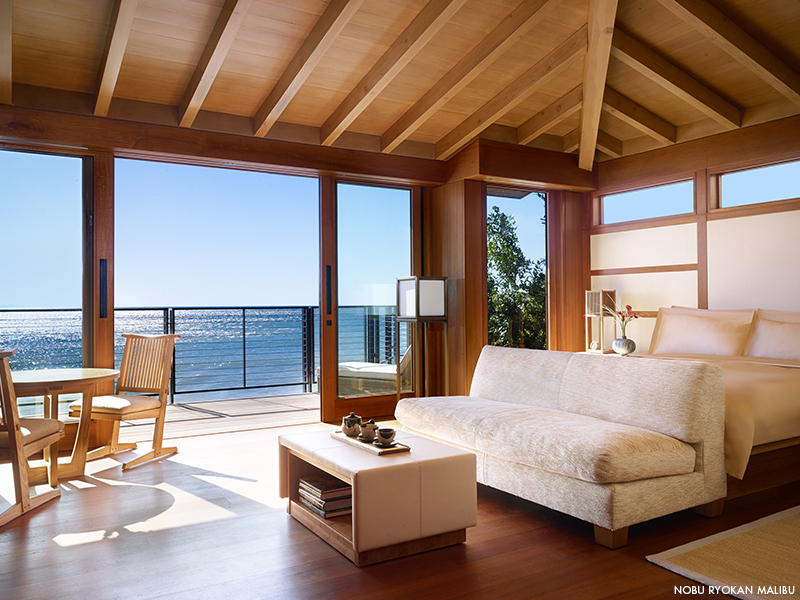 The ultimate private getaway, Nobu Ryokan has 11 suites with terraces and water views, and five with garden patios. 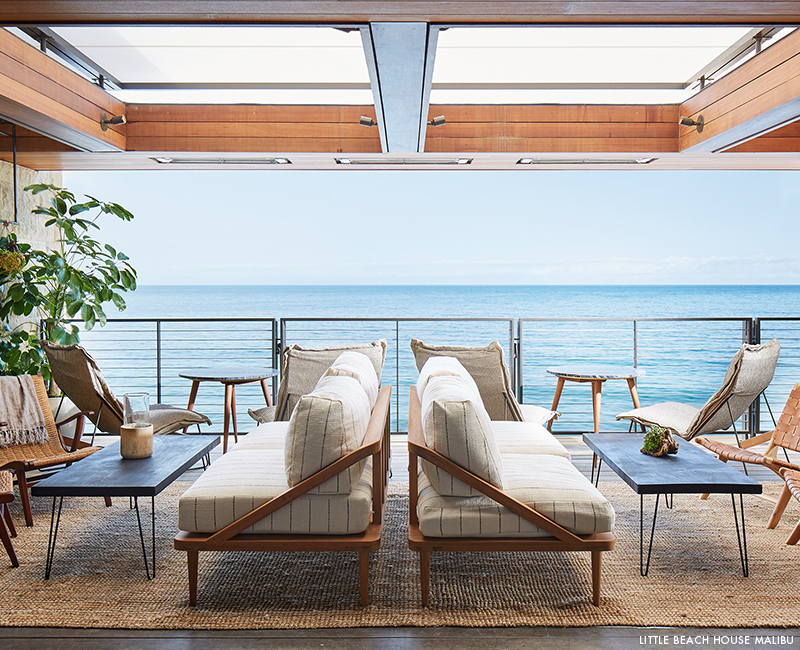 Designed like a traditional Japanese inn, the minimalist property has teak interiors with bronze detailing, shoji screens, and floor-to-ceiling windows to take in the beautiful seascape. The limestone bathrooms have deep soaking tubs and open showers. And the food is, of course, excellent, coming courtesy of Nobu Malibu Restaurant next door. This laidback restaurant and cafe sit on either end of Malibu Pier—a lovely spot to watch surfers, dolphins and, occasionally, whales. Farm-to-table dishes, such as mustard lemon roast chicken, fish taco, and vegetable paella, are made with ingredients from owner, Helene Henderson’s ranch, as well as a selection of small, local farms. 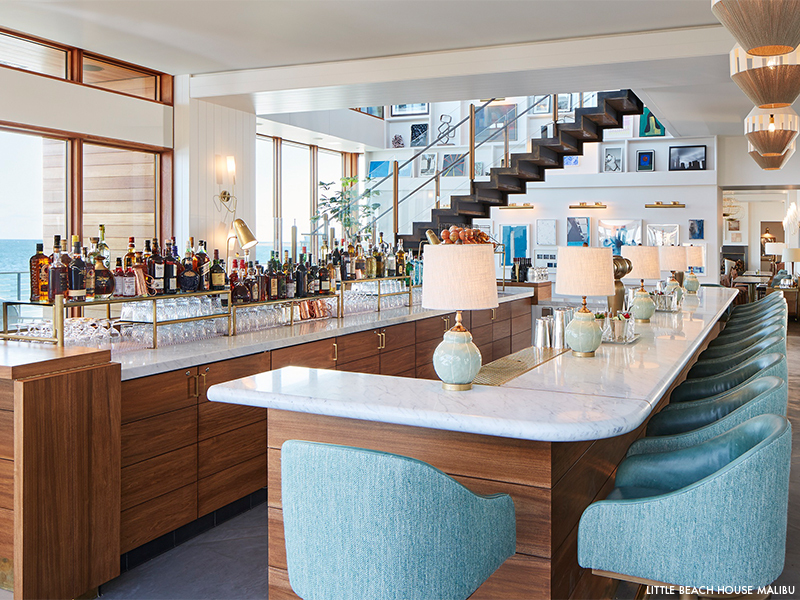 The British Private Member’s Club, Soho House, runs Little Beach House Malibu—a small but luxurious restaurant, bar, sitting room, and terrace that is perfectly placed overlooking Carbon Beach. With an extensive contemporary art collection and stylish, light-filled interior, it is a delightful place to enjoy the view and good company—but you’ll require a local friend to get in. Membership is restricted to residents and people who work or have a connection to Malibu.